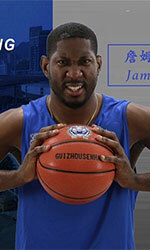 Quimper UJAP (ProB) agreed terms with 26-year old Central African international power forward Jimmy Djimrabaye (202-92). He will still stay in France where he played last season at Entente Orleans 45. In 36 ProB games in France he had just 2.6ppg and 1.9rpg. Djimrabaye helped them to make it to the cup final. The previous (16-17) season he played at Gravelines Dunkerque (ProA). In 24 games he recorded only 2.4ppg and 1.1rpg. 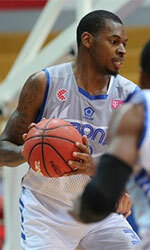 Djimrabaye also played 10 games in FIBA Europe Cup where he averaged only 2.1ppg and 1.5rpg. He played in the final of French U21 Championships (Trophee du Futur) in 2013. Djimrabaye has been also a member of Central African international program for some years. He has regularly played for Central African senior team since 2009 and previously for U18 National Team back in 2008. Djimrabaye also represented Central Africa at the Afrobasket Championships last year. His stats at that event were 3 games: 5.7ppg, Reb-5 (7.3rpg), FGP: 35.7%, 3PT: 12.5%, FT: 44.4%. Djimrabaye has played previously professionally in France (Berck, JA Vichy, Denain Voltaire, Charleville Mezieres and Le Portel) and Central Africa (ASOPT).